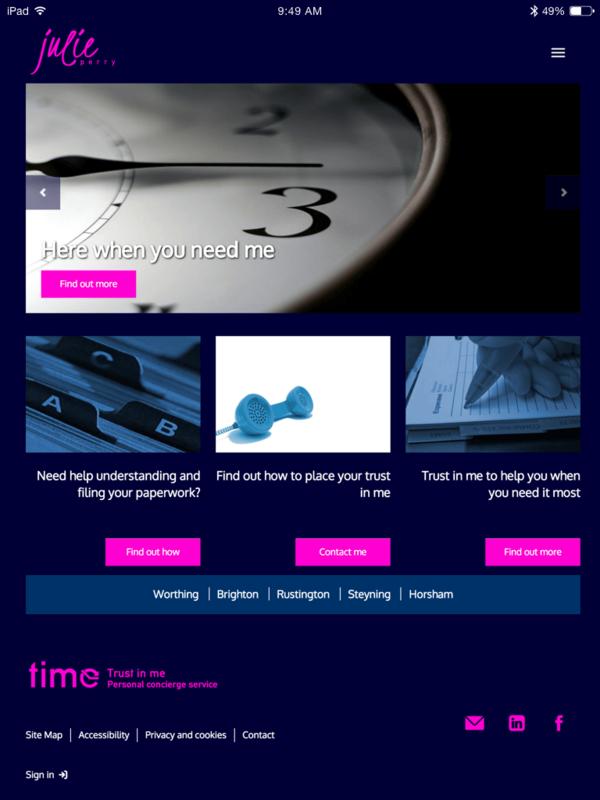 A startup venture for its founder Julie Perry, TIME offers personal concierge services to people in the Sussex area. 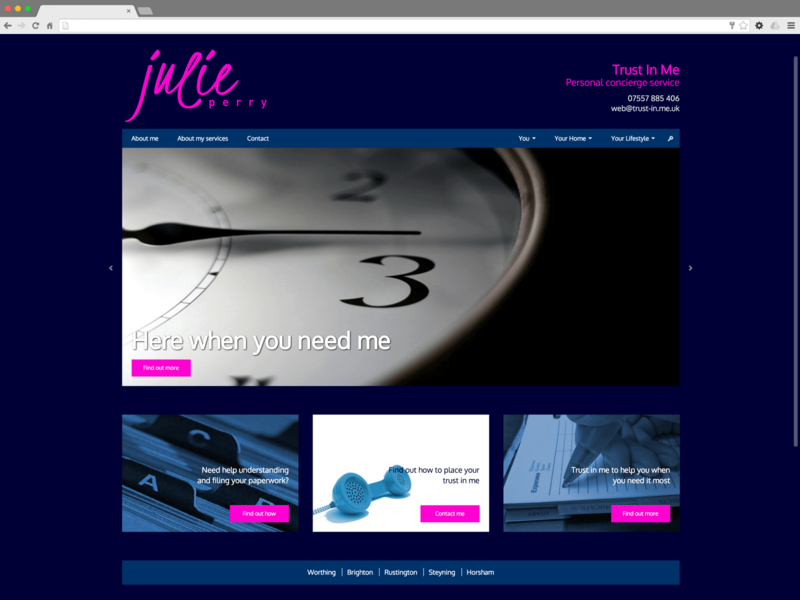 Julie needed a website that would be easy to maintain and scale up as her business grows. Being based on WordPress, it is easy to add and update content using the user-friendly dashboard area. 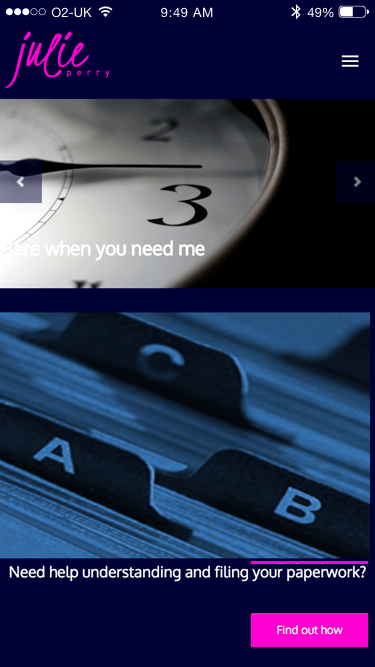 The site is responsive and whilst features a relatively basis set of features initially, can easily be extended as the business grows. Responsive Web Design (RWD) allows a web page to be displayed differently depending on the size of the web browser it is being displayed on. RWD has become essential for today's websites as the amount of mobile traffic now accounts for more than half of total internet traffic.